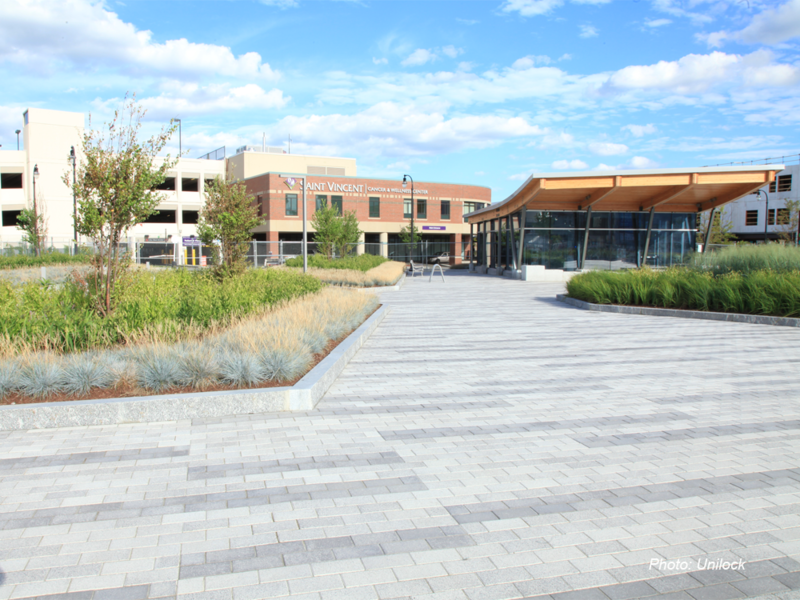 Working closely with the architect, CBA designed this 1.5 acre new urban park to serve as a focal point for the reimagined and redeveloped Worcester Center, which is still under construction. 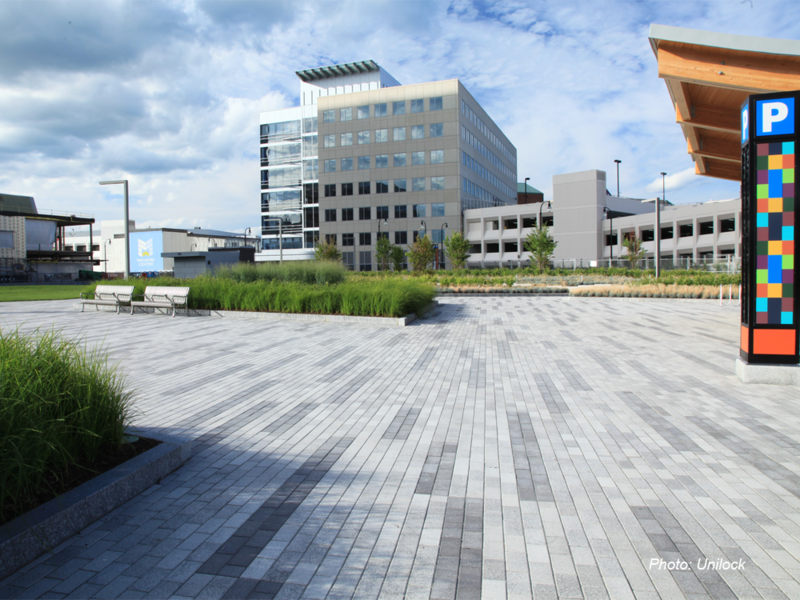 Built at grade level over a new underground parking facility, the ground plain is an angular stripe pattern of grey and white pavers interrupted by large raised beds of ornamental grasses and perennials, and a large panel of lawn. The placement of trees within several of the perennial beds was determined by the weight bearing capacity of the structure below. The garage head houses, designed by the architect, complete the tableau.